From January 1991 to November 2012, there has been 13,950 peer-reviewed scientific articles, reports and studies on climate change with a total 33,690 authors. 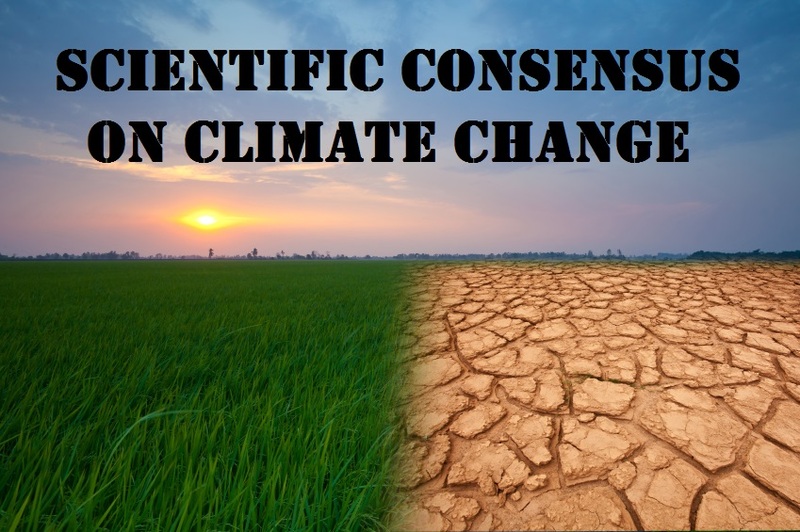 Considering all these articles only 24 articles deny anthropogenic (meaning: man-made) climate change with a total or 34 authors… or a ratio of 1 in 1,000 believes that climate change is caused by human activities. These articles largely attribute climate change to natural causes. Considering, again, this disparity points to the scientific consensus that climate change is real and is primarily caused by man. Climate Change Guide concluded the following from all of these articles, papers and reports: (1) In the scientific literature, global warming denial is clearly a visible minority; (2) The authors of the few rejecting papers tend to agree with, or even to cite, each other’s work; (3) Not including the authors themselves, only a handful of scientists cite the articles rejecting man-made climate change. Those who do cite them do not themselves reject anthropogenic global warming; (4) The rejecting authors do not have an alternative theory to explain the observed warming that is taking place. In fact, they do not even agree among themselves (no bandwagon here); and, (5) The vast majority of climate scientists accept the theory that mankind’s greenhouse gas emissions are causing climate change. With all these and many more effects of climate change in the background, it is hard to think that climate change is not a reality and is indeed occurring. Without a shred of doubt, climate change is a global issue that needs to be addressed sooner rather than later in order to prolong our planet’s great biodiversity. If we don’t, over 100 million people will perish by 2030 and millions of entire species will be wiped out by 2050. These evidences of climate change should be enough to awaken peoples of the world to think of contributing to the effort to combat and mitigate climate change. Every little action and initiative is important to humankind’s survival. This is what the environmental science community is trying to tell everyone. This is also the scientific consensus on climate change.